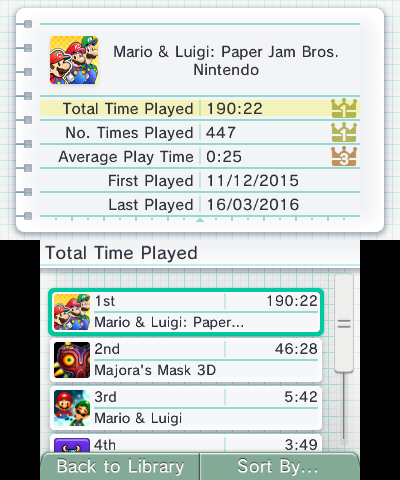 Mario & Luigi Paper Jam; Glitched to Heck? As anyone who’s played games for the console probably knows, the 3DS has its fair share of glitchy titles. Whether it’s Mario Kart 7 and the endless array of glitch shortcuts that Nintendo had to patch out, Mario & Luigi Dream Team and its horrendous gyro controls or Luigi’s Mansion Dark Moon’s Scarescraper in general, it seems there’s been no end to the amount of 3DS titles that didn’t quite receive anything close to decent testing. It’s like every section in the game has at least one bug that lets you walk through walls and skip ahead to a later part. In theory, this means you could end up going from Sunbeam Plains to Gloomy Woods to Twinsy Tropics to Doop Doop Dunes, a strange order of events that’s almost the opposite of the game’s normal progression. But those are the good ones. Because you see, if a glitch lets you do things in the wrong order, or skip a bit of the game, or explore wherever you like, that’s not a bad thing. Remember Super Mario 64? Or Pokemon Red and Blue? Or the Legend of Zelda Ocarina of Time? Those games had bugs and glitches and sequence breaks everywhere, and it’s part of what keeps the speedrunning and glitch hunting scenes active even today. Yeah, that’s Nabbit… standing on air behind a wall the party cannot get past. In other words, thanks to some shoddy testing, the mission here is unwinnable and will have to be started from scratch. Here, no one ever actually gets a turn. For the rest of the battle. So you’re stuck in limbo waiting til you decide to turn the game off or go back to the Home Menu. Two game breaking bugs in one mission? Now that’s some shoddy playtesting. You get trapped in the Lakitu Info Centre. 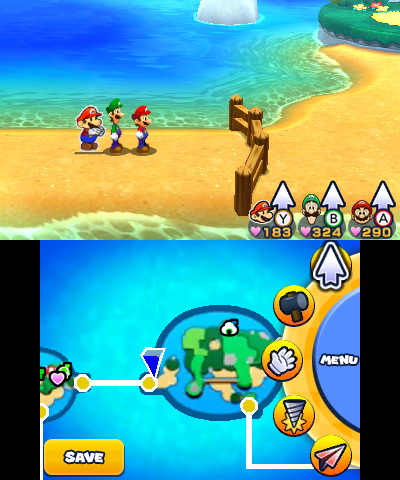 Unfortunately, Mario and co cannot move at this point, not escape the area, become visible or do anything other than check their inventory or stats. Then your save file is basically a brick. Not that being screwed over is a new thing, Dream Team had two examples of unwinnable by glitch situations of its own, where players could get trapped in part of Mushrise Park for all infinity. I know, I lost my level 100 save file to it. What’s more, this isn’t the only way your save file can get messed up in this game. You see, while in ‘mission’ mode, you can play games at the Lakitu Arcade. All well and good, right? Well no. They work, but there’s an unfortunate catch. The game auto saves when you complete one. Fortunately, this doesn’t cause as many issues as you think. Reloading the file gets you out of the mission phase, your abilities get given back, you can save manually again, you can play Lakitu quests as normal and the game lets you beat the final boss without getting your save bricked. Unfortunately, it doesn’t remove any changes to the landscape made by the mission. The result? That’s a wooden fence that’s meant to keep you from escaping the mission area. As a result, you can’t go under it, over it, round it or through it. It’s basically an invisible wall that’s infinity feet tall. It never, ever goes away. Ever. You’re now stuck with an impassable wooden fence blocking the way to the Lakitu Info Centre from the Toad Village, and no obvious (or likely possible) way to get rid of it. And presumably, this is the case for other mission obstacles too. So if you escape Mount Brrr’s village in a mission and save, there will likely be a giant rock blocking one path and maybe the necessary platforms to the left permanently gone from the other one. If you manage to escape a Neo Bowser Castle mission, you might end up with a mostly unwinnable game. Either way, its pretty disappointing that a 2015 Nintendo game has this many bugs in it, and that some of the later ones actually break the game and make it unwinnable/wreck save files. Maybe a patch is in order at some point? 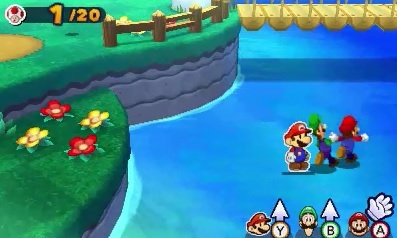 What do you think about these glitches in Mario & Luigi Paper Jam?